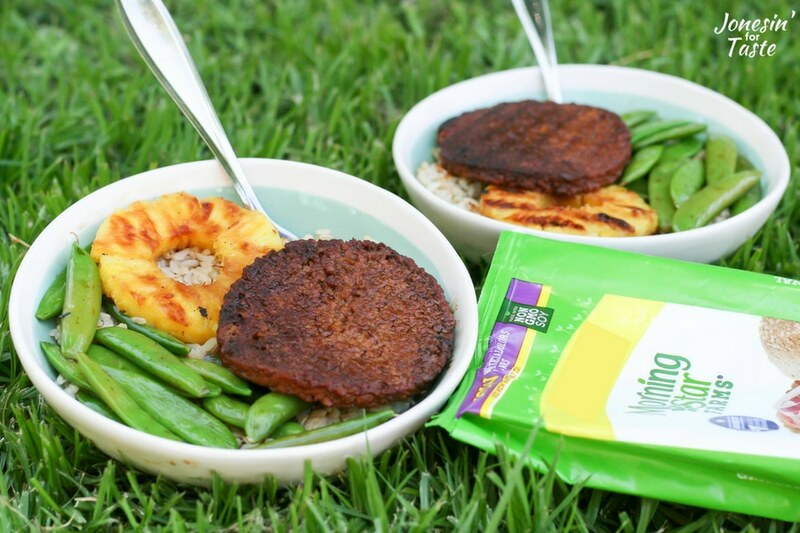 Satisfy the cravings of both the meat lovers and vegetarians in your house with Teriyaki Veggie Burger Bowls with Grilled Pineapple. 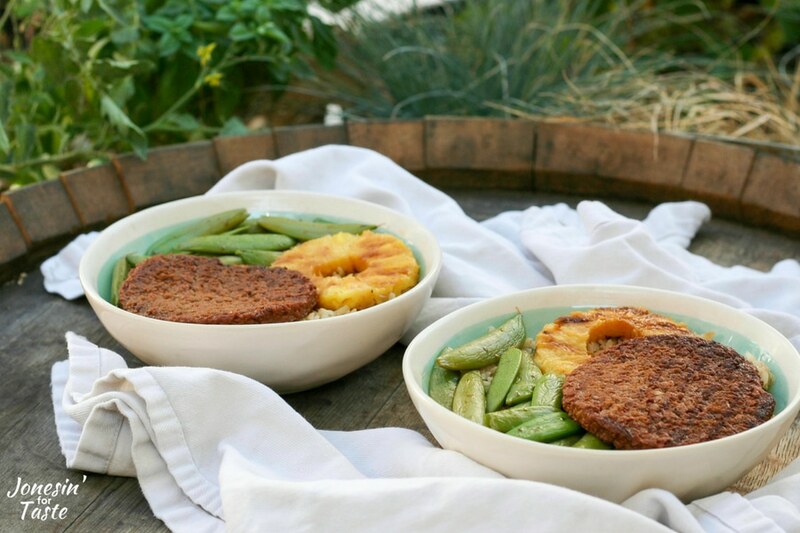 You’ll want to save room on your grill for these delicious MorningStar® Farms vegan burgers. 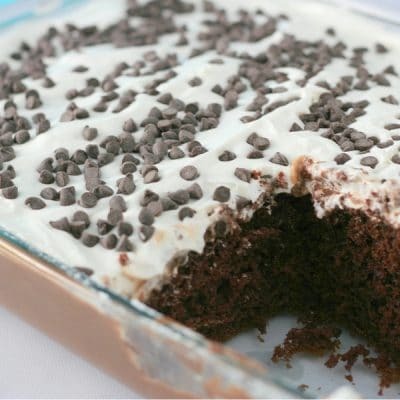 They’re super tasty, so easy to prepare, and perfect for a weekend cookout- or any night of the week. What goes with teriyaki burgers? 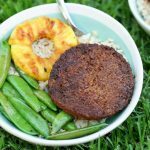 For this teriyaki burger bowl, I paired it with brown rice, fresh grilled pineapple, and sauteed sugar snap peas. Other good veggie options would be steamed broccoli, stir fry veggies, or even sauteed green beans. If you’re not a brown rice fan you could use regular sticky rice, Basmati or jasmine rice as well. Where to buy veggie burgers? Find MorningStar® Farms in the frozen foods section of your local grocery story. At my local Walmart, they were found near the frozen meals and frozen meats. There’s also an Ibotta offer for them available! Whenever we have family gatherings it’s become a bit of a challenge to meet everyone’s dietary preferences and needs. My sister and her girlfriend are vegan, my brother’s girlfriend is vegetarian, and then there is my meat loving family to satisfy as well. Although it’s not impossible to come up with lots of different options for everyone I really prefer for everyone to eat the same meal without too much extra work for me. That’s why I was really excited to try the NEW MorningStar® Farms Meat Lovers Burgers! They have a “beef-like” taste and texture that won over everyone in my family- even my meatless hating husband! 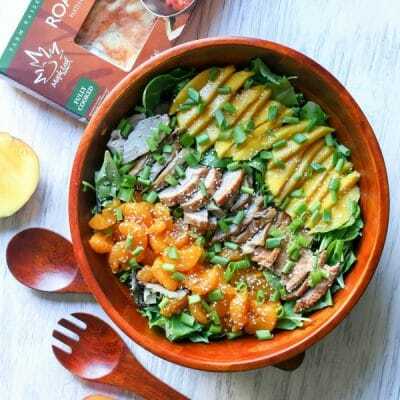 There are so many ways to use them and so many recipes available at the Taste It 2 Believe It site that you really need to try! 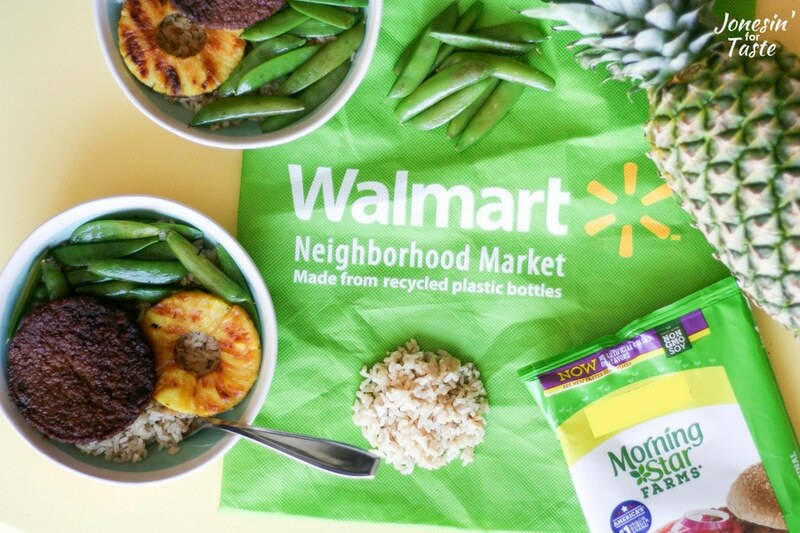 If you are wanting to try them out the MorningStar Farms Burger Bar Truck will be driving around to visit Walmart stores around the country, click below to see if they are coming to a Walmart near you! The Meat Lovers Burgers were so tasty, perfectly seasoned, made with plant based protein (27 grams!) and tasty veggies. I marinated them for 30 minutes in the teriyaki sauce and that was plenty of time to have the sauce penetrate the burgers. Just rotate the burgers about halfway through the time if you are using a bowl instead of a shallow dish. 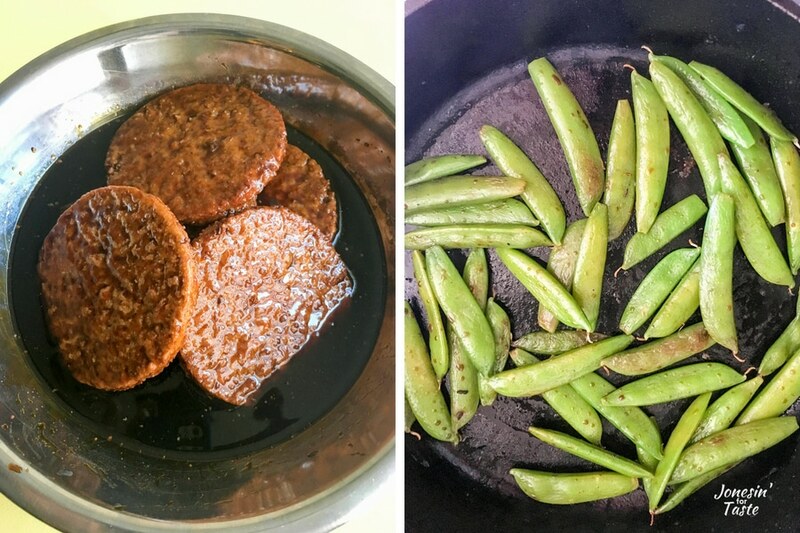 Growing up one of our favorite meals was teriyaki burgers and rice. My sister hasn’t had this dish since they chose to go vegan and I knew she would appreciate having a dish that is total comfort food for us. I figured the Morningstar Farms burgers would be perfect to try out with this favorite combo. I sauteed the sugar snap peas with a little bit of canola oil until they were lightly browned in spots. You could also saute them with some minced fresh ginger or garlic or both! Should I grill fresh or canned pineapple slices? Although you can grill canned pineapple slices, I think the best flavor comes from grilling fresh pineapple and it’s so easy too. I used a nifty pineapple slicer to core it and give me a nice spiral. Then I cut all the way down where the spiral starts so it gave me a bunch of pineapple circles. Finally I just grilled them up just like that for 3-4 minutes per side until grill marks appear. The natural sugars in the pineapple give it a great flavor without adding anything extra. 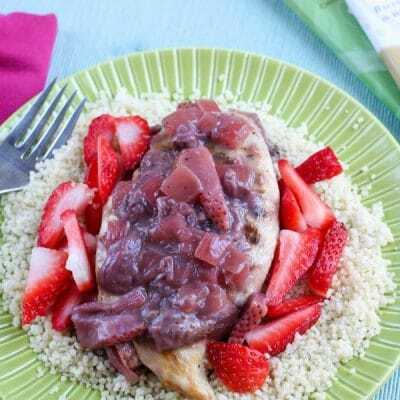 Overall, these are a great healthier option for dinner! Everyone in my family gave the green light to eat these burgers again and again. 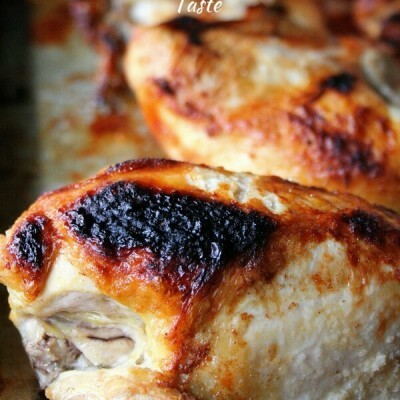 These may be my new go to for am easy to prepare weeknight dinner, and especially when my sister comes over for dinner. 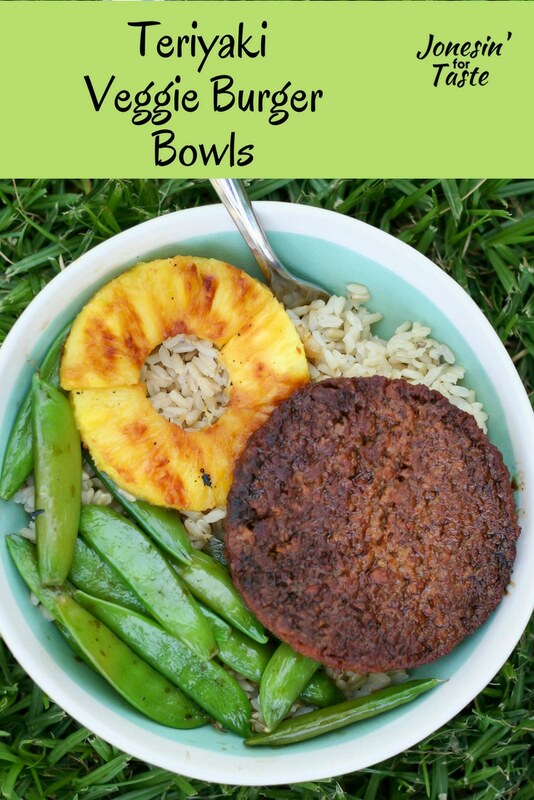 Satisfy the cravings of both the meat lovers & vegetarians in your house with Teriyaki Veggie Burger Bowls full of brown rice, sugar snap peas, & pineapple. In a shallow pan or bowl, place the Meat Lovers Burgers and cover with teriyaki sauce. Let sit for 20-30 minutes to marinate. Meanwhile, core and cut pineapple into slices. 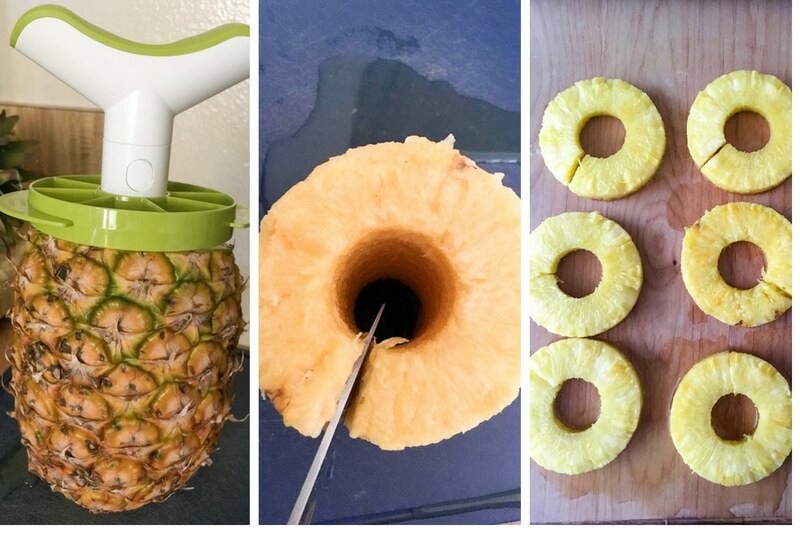 The best way to do this is to use a pineapple corer and slicer tool. Preheat grill to medium. Remove burgers from marinade and shake the extra sauce off. Place on grill and cook for 4-5 minutes until grill marks appear. Flip and repeat on other side. Also grill the pineapple for 3-4 minutes on each side or until nice grill marks appear. 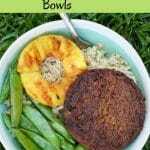 To serve, add rice to bowls and top with sugar snap peas, grilled pineapple, and teriyaki Meat Lovers Burgers. Drizzle extra teriyaki marinade over the top, if desired. Serve warm. These sandwiches look really good. Every now and then we like to try veggie burgers. Thank you for the post.